We have been out of this book for quite some time. The printer finally printed them again! 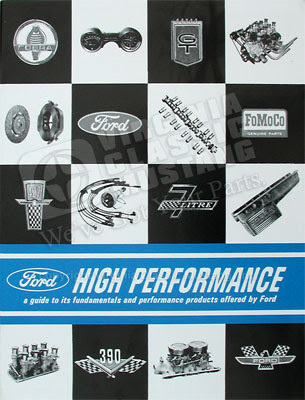 This is a reprint of the 39 page book from 1966 officially called "Ford High Performance: A Guide to its Fundamentals and Performance Products Offered by Ford." Being a big fan of the 65-66 289 High Performance "K Code" Mustangs and the early GT350's, I've always loved this book! 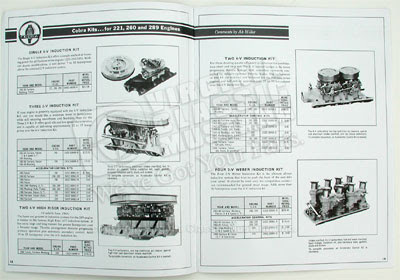 There is all sorts of information packed in the 39 pages including basic performance information and tips, camshaft specifications, transmission information and specifications, specifications on the 289 Ford HiPo engine, Cobra Engine Kits (very cool-3 x 2 carb. kits, Webers, Cobra Valve Covers, etc. ), 352-390-428 engine information, 427 engine information, other Factory Ford Performance Equipment, and more! WHEW! That's a lot of stuff. Again, it is a great book! Order Part Number LT921. 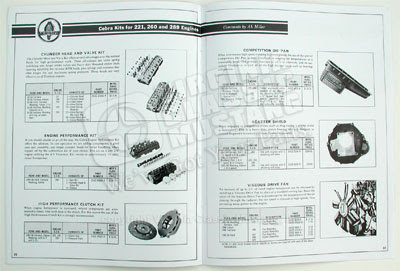 Special Sale on Mustang Assembly Manuals!!! !